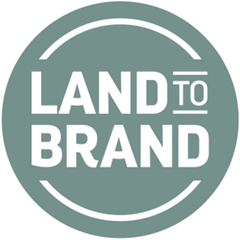 In a one-stop-shop, we provide the expertise needed to establish vertically integrated food businesses – from land to brand. We use our experience to minimise risk and maximise profitability by doing things correctly from the outset. To do things correctly from the start, we need to be sure that we have the right information available to us. We typically start by undertaking Market Research upon which to base the Strategy that will determine the design and capability of the processing plant and surrounding supply chain. The market research will span desk and field research. Based on the research findings, we create Strategy options and work with the stakeholders to choose amongst them by considering what economic and commercial sense they make, management’s commitment to them and their technical feasibility. Once we have the Strategy, we can produce a Forecasting Model and set of Assumptions that covers Product Mix, New Product Introductions and Product Distribution. The Forecast is the basis for our Supply Chain Planning. Sales forecast; 1 week, 1 year and 5 year forecast for sales of each SKU. A detailed daily production schedule. To deliver the Project Management of a proposed plant we work together with our clients’ Architect, Structural Consulting Engineer, General MEP Consultant and Local Regulations & Standards Consultant. A complete set of architectural drawings. Final agreed contract(s) for full construction of the building, main external structure, internal floors, plumbing, drains, walls ceilings, doors windows, loading docks. Final agreed Contract (s) for supply and installation of Processing equipment. Final agreed contract (s) for supply and installation of all filling machines and all required ancillary equipment. Final agreed contracts for all utilities equipment supply and installation, (water, steam, compressed air, HVAC, Refrigeration, processing & storage, HVAC system for both plant and offices). Final agreed contract(s) for lighting, general mechanical electrical, plumbing and air conditioning. Final agreed contract for fire-fighting equipment supply and installation as per the local regulations. Process manufacturing is the central to an integrated food business and in the case of dairy businesses, milk balance is the key to success. That means planning must be at the core of everything. We at Aspire are planning experts who live by forecasts and we know the business is played out in forecast review meetings. We believe the adage that failing to plan means planning to fail!